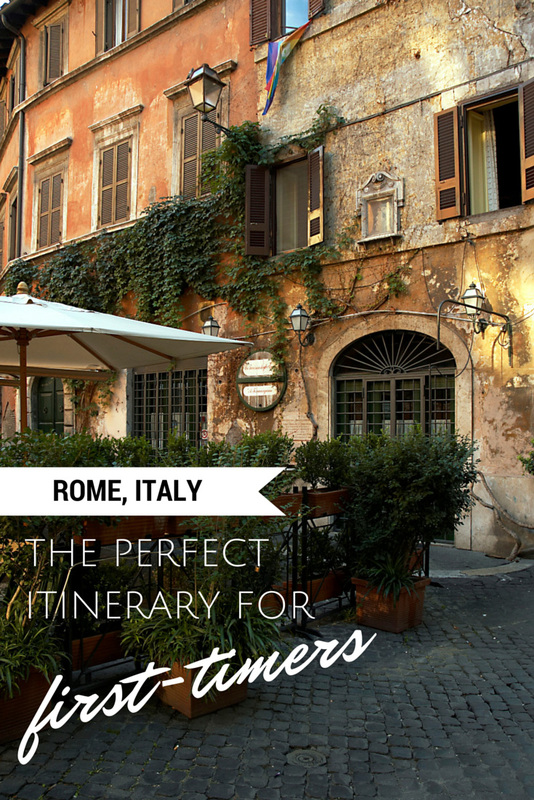 We’re so excited for your upcoming trip to Rome, Italy! 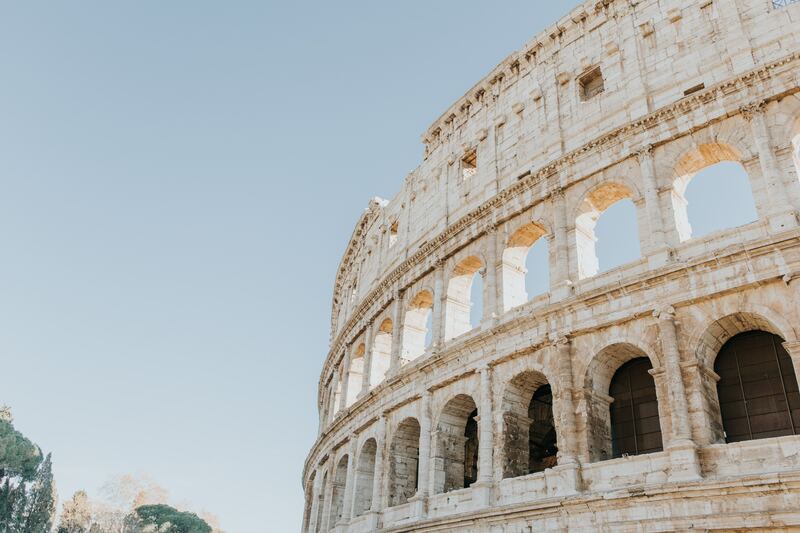 Rome, the capital city of Italy, has definitely earned its nickname as the eternal city, with over 3,000 years of history and ancient ruins that you can still explore. 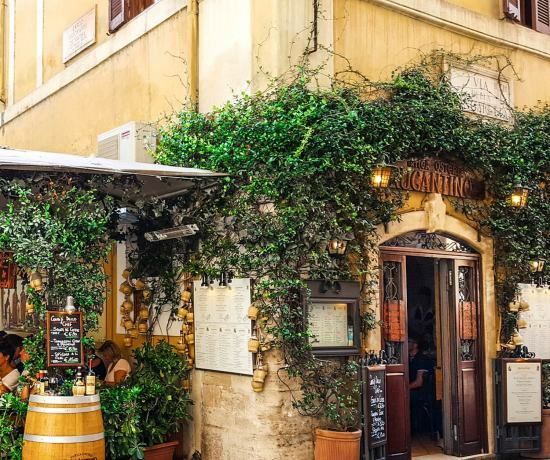 Rome’s culture, charming alleys, and delicious food, make this city one of the most unforgettable places to visit in the world! 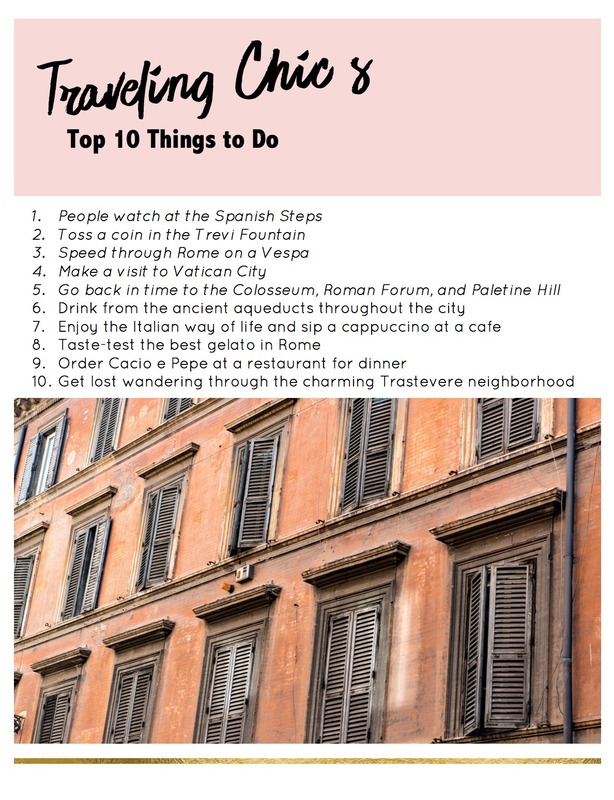 We can’t wait for you to experience everything Rome has to offer. 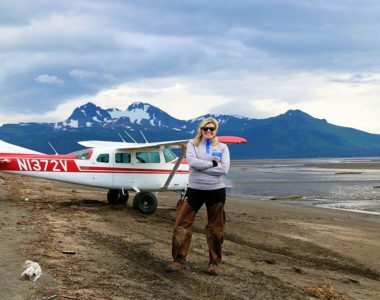 Whether you have one day or several, we’ve got the perfect trip planned for you! 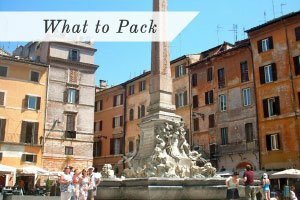 This 30+ page comprehensive travel guide includes everything you need to know in order to plan your trip to Rome. You will only have to book your accommodations and make reservations. Seriously, that’s it! 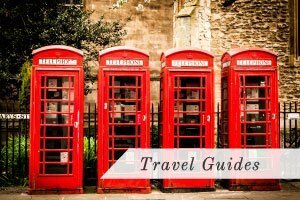 If you prefer to do some planning yourself, then you can use this guide as a starting point to create your own personalized trip. 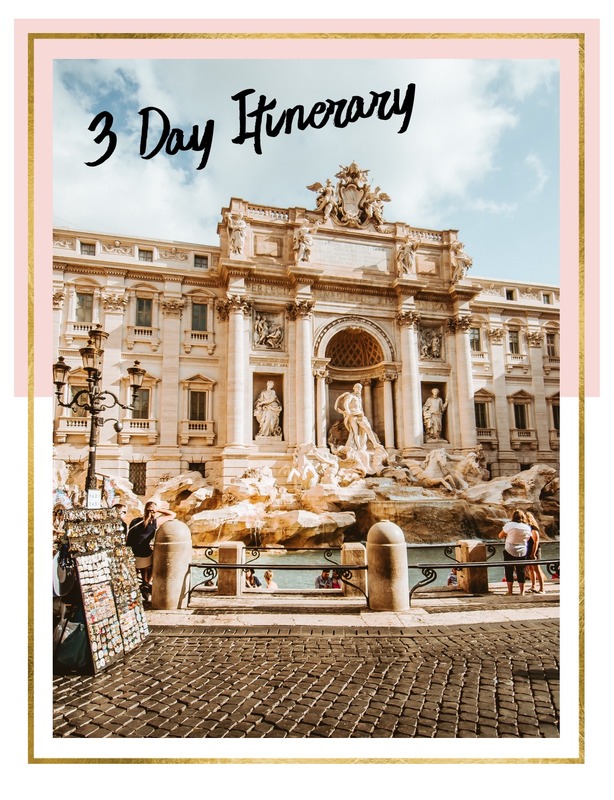 Either way, with this itinerary you’ll be able to arrive in Rome and hit the ground running! Viva Roma! What a fantastic city! I’ll be back this July and will miss seeing you there! Great tip about the public bathrooms. Great blog overall! Maggie! That’s so much fun! Can’t wait to hear about it! How did you get around the city?? Walking, taxi, or bus?? Hi George! Mostly walking. I took taxis to and from the airport, but that’s about it. Buses are doable as well, but beware of pickpockets! What about the hop on and hop off tour buses? Hi Kelly, I never personally used them in Rome, although I’ve done that in other cities and it has worked great! That said, I googled it and saw some bad reviews (ie some of the buses can’t get to all the sights), so it might be worth doing some research as to whether it is worth it! Have so much fun in Rome! ciao! I saw that as well. So I also saw that the top sights are not that far apart and so maybe just walking? Hi Kelly, Yes, I think a lot of the sights are pretty close together. It is a big city though and some things are on the complete opposite end of town from each other. I’d be sure to map out what you want to see each day so that you don’t waste time walking back and forth across town! Have so much fun! When I was in Rome, I used the hop on hop off bus for two days. I think you can buy a 3 day pass. I really like it. The good ones have a recording of the sites. The first time, I just stayed on the bus through the whole tour and matched the sites with my map. The second day I chose my destinations to visit (many on this list) and just got off at the sites I wanted to see. I have walking challenges so it worked very well for me. One note about the Vatican Museum and St. Peters. I bought a guided tour of the museum while I was in the States. I chose not to go on the day the Pope gives his mass. It was still very crowded but the guided tour gets you in fast and it’s terrific. At the end they take you through the Sistine Chapel and then you are released to St. Peters. You can either go down to see St. Peters tomb or just go into the basilica. I was able to sit through and enjoy a mass at one of the side alters. Uplifting. Best vacation ever. Great info Linda Kaye. Do you recall the name of the Hop On Hop Off bus you took. Apparently there are a few different ones and not highly regarded. Thanks so much. Hi Norman! Have fun in Rome! I hope you love it! i .I need to get rom first time. and I am delighted. I have read a lot .and look up networks. it really well you do. but would like to know about how expensive food and what it costs to eat it, have breakfast only. P.S. heard it expensive to eat. I eat pizza and pasta. P.S. what I use on day 20-30 euro. ???. hi .I need to get rom first time. and I am delighted. Don’t forget the Metro (subway) in Rome. Easy to figure out and easy to get around . Do you have any suggestions on specific hotels? There are so many to choose from! Thanks so much. Hi! 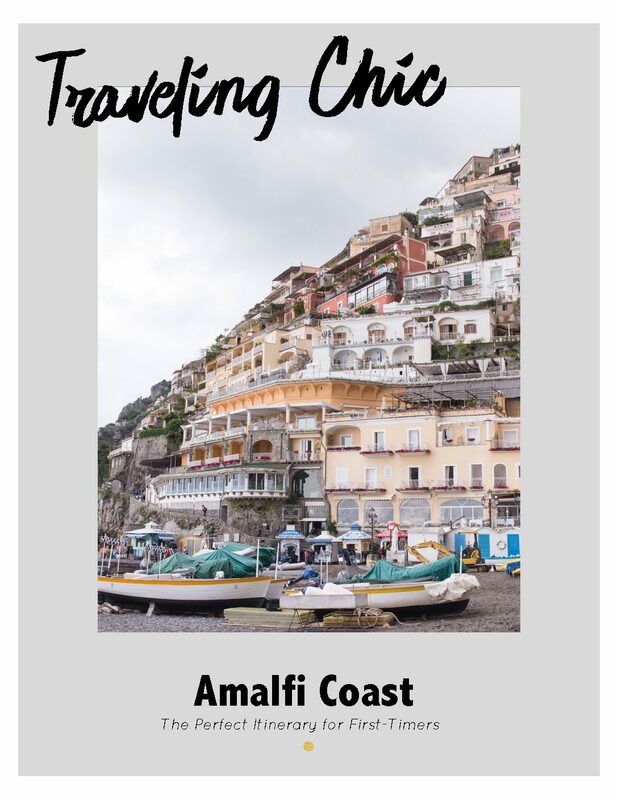 Found your blog because we are starting our travel plans for Italy. So you think two days is enough for Rome. Or do you suggest three? (we have a third if you think there is more we should definitely see). We are traveling with children, but they are 14 and 11, so not young and great travelers. Thanks! Hi Jennifer, I think you will be able to see a lot of Rome in 2 days, however 3 days would feel less rushed. If you’re flying into Rome you may want the extra day to deal with jet lag. That said, there are so many incredible towns in Italy that if you have limited time I think 2 days in Rome is enough time to get a good taste of the city and then go off to explore other areas of the country. Italy is amazing! 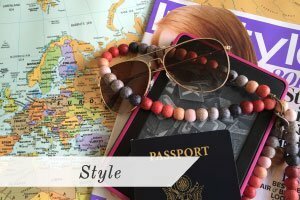 Great itinerary for first time travelers! I love your blog. I’m planning my first trip to Itsly for two weeks in the summer. Did you only stay in Rome? 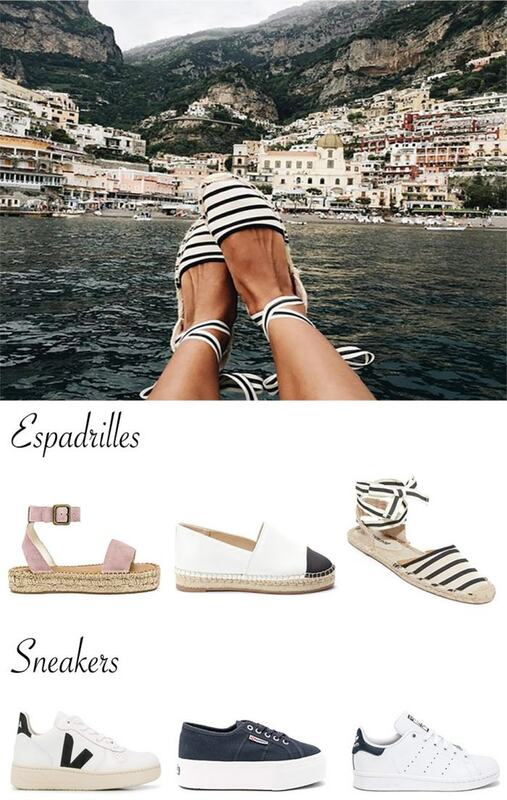 Or did you venture to Florence, Tuscany, Venice and so on? Hi Brittany! Two weeks in Italy will be incredible! I highly recommend you get out and see other cities too! 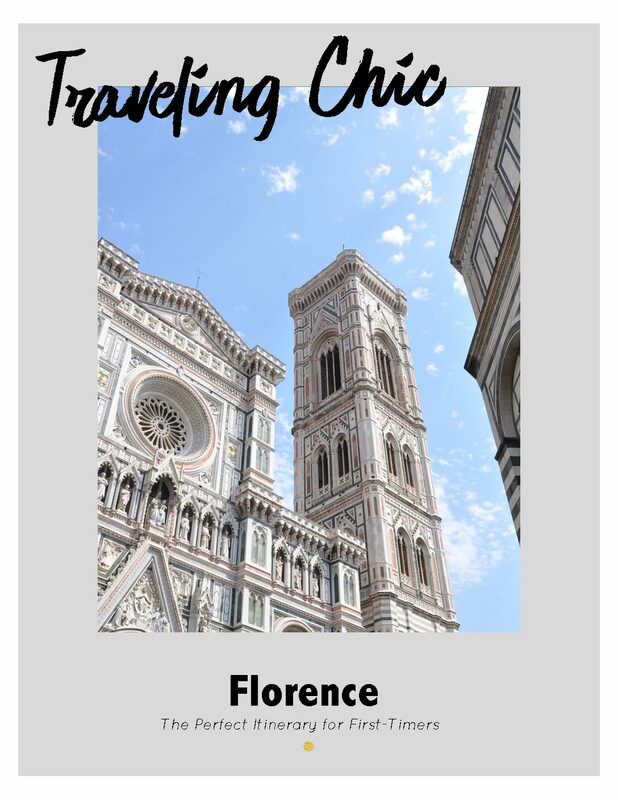 Head to Florence and make a stop in Sienna or rent a car and explore Tuscany. 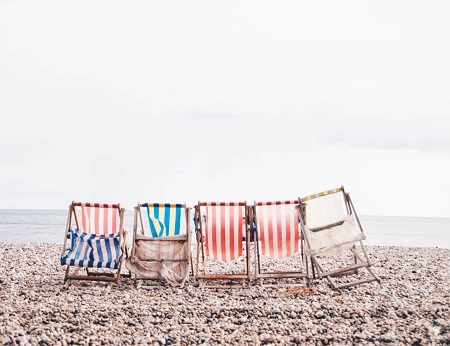 Take a few days by the water – Positano in the Amalfi coast is amazing, Vernazza in Cinque Terre is incredible, or visit Lake Como or Lake Garda. Venice and Verona are two great cities as well! So much to see, so little time! I am an elderly woman and I would rather walk around Rome than find transportation. 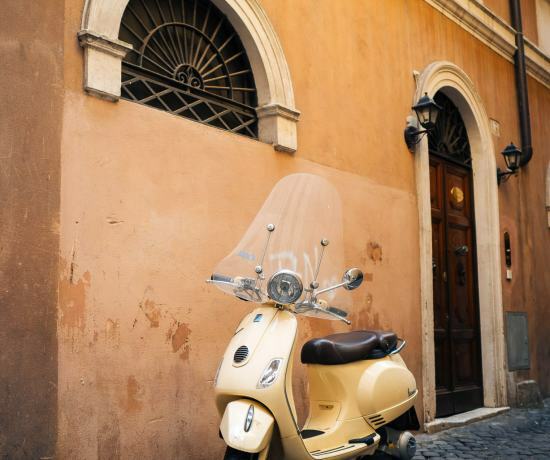 The streets of Rome are enchanting. You don’t need museums or cathedrals. Just walk and look. We eat pizza for lunch and pasta for dinner and never gain a pound. PS If a shop sells you something they are required to let you use their bathrooms. Never a problem. 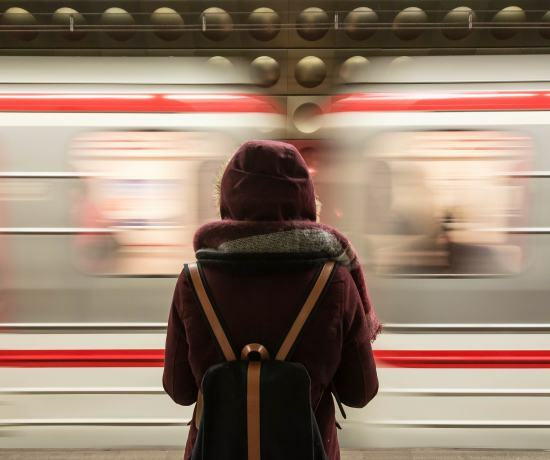 Where would you reccommend to book a hotel that is near the train station and easy to get to most attractions? Also, would you recommend the golf cart tours and if so which company? Hello, I have a little tip for people like me who want to go from Rome Sparita as you reported. You have to book long before otherwise you will not find place. We chose a nearby restaurant very good, I would recommend it because the staff was very friendly and the food very good. I also liked the bill. The Tarallo http://www.ristoranteiltarallo.com. If like me you do not find place in Rome Sparita recommend it as a second choice. Hi Furlan! Thanks for the tips! This looks like a great alternative!! 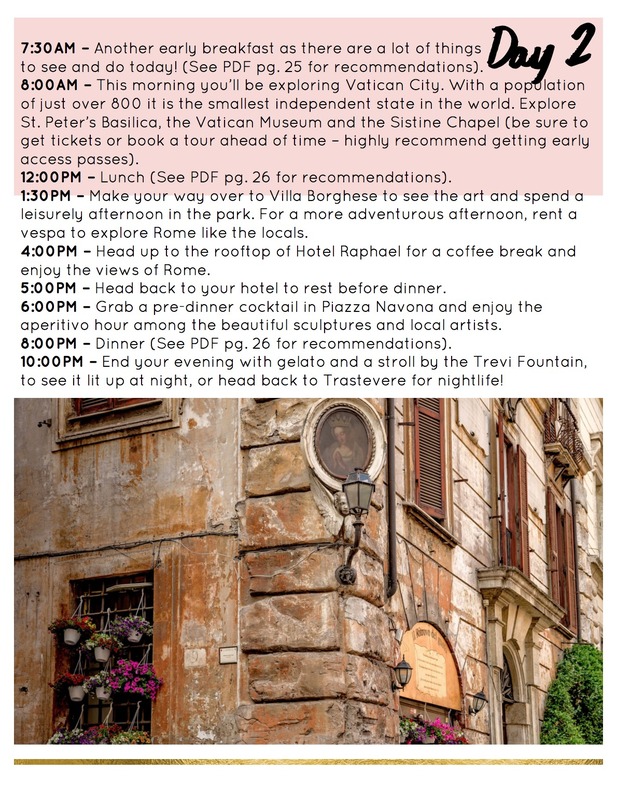 This is great little itinerary, and I love your photos. Thanks for sharing this! Thanks for leaving such beautiful details! My husband and I are planning a trip to Rome and your suggestions are great. Loved your pictures too! Planning a trip to Rome, am a little worry about using American money. Don’t understand Eros. Thanks for the tips. 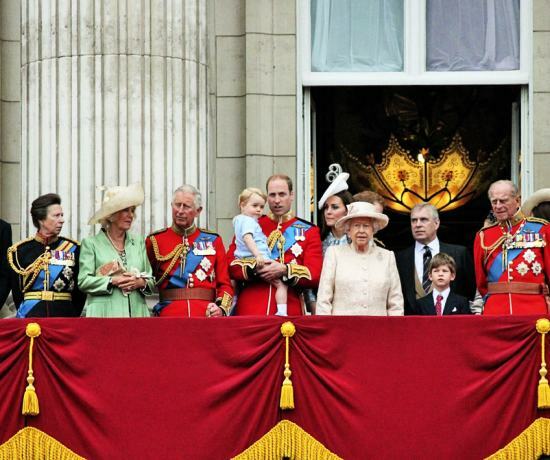 What hotel would you suggest to stay in with a 2 year old in the heart of the city? Awesome blog post. Clear and concise! Thank our! Thanks, Hannah! Have a great trip!